PINEVILLE, La. 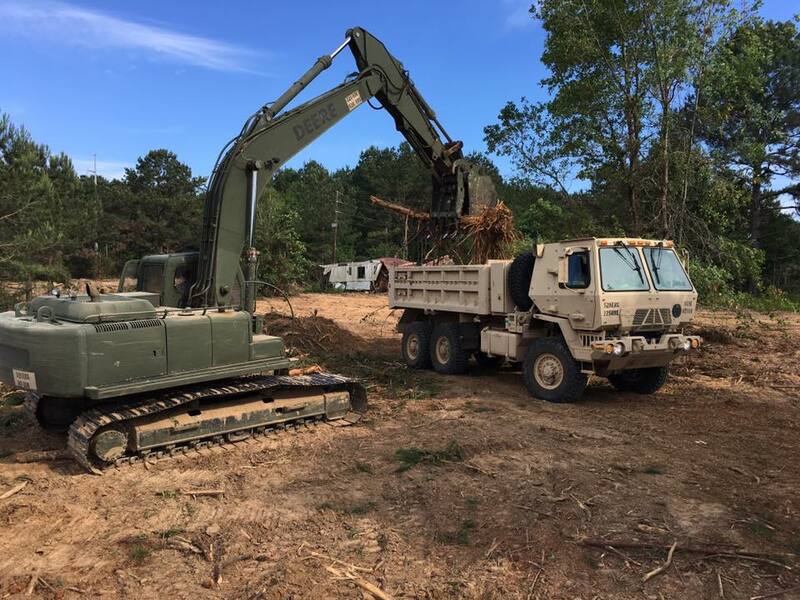 – The Louisiana National Guard’s 921st Engineer Company, 528th Engineer Battalion cleared and grubbed 15 acres of land around Grambling State University’s catfish research ponds near Ruston, March 30 – June 15. 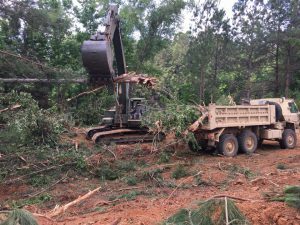 The 15 engineer Soldiers cleared trees, undergrowth and debris from the area, and widened the entrance road. Grambling is planning on using the area for academics with a focus on environmental research, a safe place for recreational activities and a tailgating and RV parking area that can be used during campus events. According to a release from Grambling State University, Marc Newman, GSU vice president of institutional advancement, said the project has been in the works for a few years, and the effort got underway recently when everything came together. 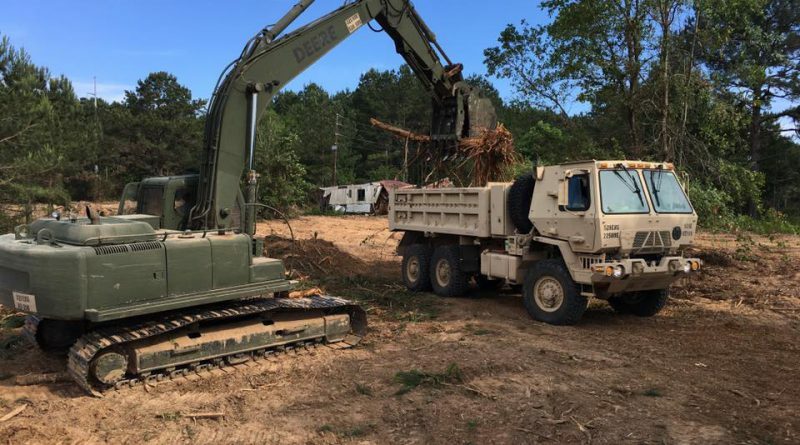 Innovative Readiness Training projects like this one are used to build and strengthen partnerships between local communities and the Guard and provide training for Soldiers working on the projects. 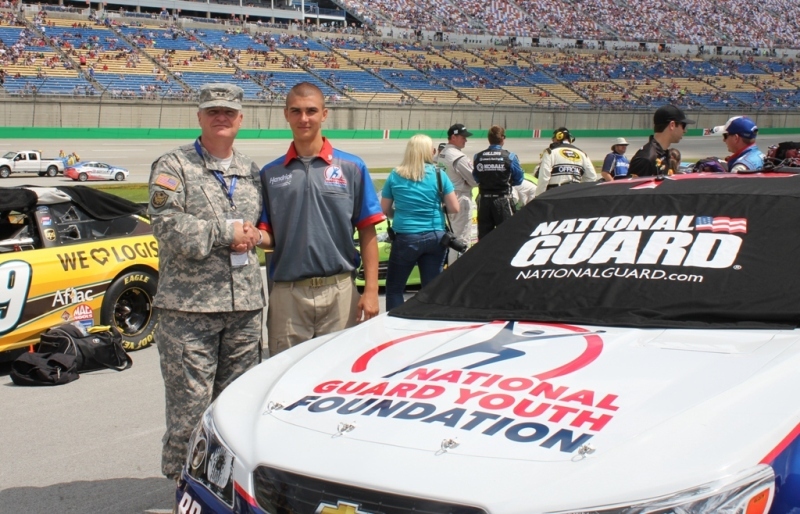 The Soldiers used the project to gain hands-on experience normally gained during their two-week annual training each year. The project allowed them to become more proficient on equipment they use during state and federal missions. 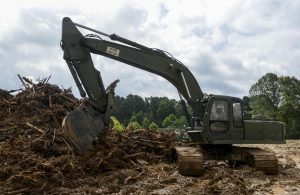 During the clearing process, the engineers used equipment such as bulldozers, graders, hydraulic excavators, 10-ton dump trucks, skid steers with root buckets and a compactor. They also used scrapers and chainsaws. the levee at Louisiana State Penitentiary (Angola), adding additional sleeping quarters to the Caddo Parish Fire Station and a rugby field at Louisiana State University – Alexandria. 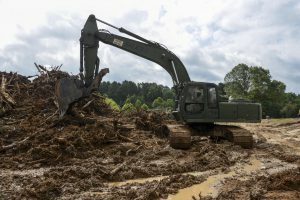 Annual training projects include installing culverts in Farmerville, creating a practice field for the band at Louisiana College and adding a bathroom at the park in Cheneyville.